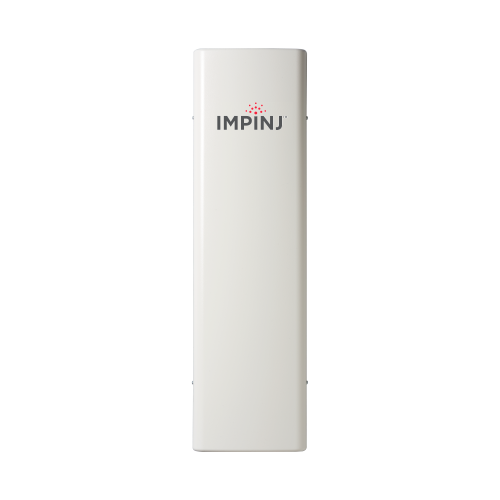 The Speedway xPortal, an integrated portal reader, incorporates the industry-leading Speedway RFID Reader and Impinj’s Dual-Linear Phased Array (DLPA) antenna technology, yielding the industry’s smallest, most flexible, and cost-effective RFID portal solution. 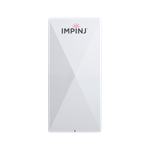 Impinj’s Speedway xPortal solves the size and mounting limitations of traditional portals with a light-weight, low-profile unit that is as attractive as it is effective. Measuring approximately 30.5 x 8.75 x 2 in (77.5 x 22.2 x 5 cm) and weighing less than 6.5 lbs (3 kg), its compact form is unobtrusive, streamlined, and ultimately flexible, yet delivers better performance than larger, more costly industrial-scale portals. 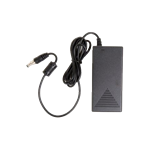 Designed for retail, office, hospital, and other indoor environments, the Speedway xPortal reader is ideal for monitoring tagged items, pallets, equipment, files, or people passing through doorways, hallways, or other zonal coverage areas. The Speedway xPortal, an integrated portal reader, incorporates the industry-leading Speedway architecture and Impinj’s DLPA antenna technology. Superior performance in the most demanding applications. 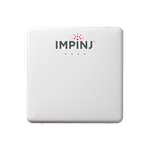 Powered by the Speedway RFID Reader with Impinj’s patented Autopilot™ technology, the Speedway xPortal reader continuously monitors the environment and RFID tag traffic to automatically and dynamically adapt its operating parameters to yield the best, most reliable performance. No longer do you need an RF engineer to install and configure your readers. Nor do you need to “re-tune” the reader when the environment changes—the Speedway xPortal manages all these concerns automatically. The Speedway xPortal reader integrates high-performance Impinj-designed Dual-Linear Phased Array (DLPA) antenna technology with beam switching and polarization attributes that are dynamically managed by the reader. The system’s DLPA antenna configuration provides broad coverage of the read zone, as the elements continuously alternate between vertical and horizontal polarizations, delivering full omni-directional power with greater consistency and intensity than circularly-polarized antennas. Harnessing the Autopilot capability, the Speedway xPortal senses exactly where tags appear in the field, automatically optimizing the read zone for the best, most efficient level of performance. And the Speedway xPortal reader’s Low Duty Cycle function conserves energy while also eliminating unnecessary RF noise by limiting operation to only times when tags are detected within the field of view. Not only is the Speedway xPortal a high-performance RFID solution, it’s also a practical one. With multiple mounting options to meet real world deployment challenges, the Speedway xPortal chassis incorporates keyhole slots and clearance holes, has VESA compliant mounting patterns, and accommodates gimbal brackets to enable a myriad of mounting possibilities. Fully enclosed cable management clips and conduit knockouts also help maintain a tidy appearance. In short, the Speedway xPortal can flank, pivot, stand-off, or mount overhead—accommodating just about anything your space requires—and look great doing it. The unit’s clean, attractive appearance complements the look of any installation environment. 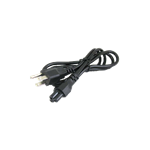 The Speedway xPortal’s Power over Ethernet (PoE) connectivity simplifies deployment, eliminating the need for AC outlet installation at read points, and saving considerable energy in the process. In fact, owing to its remarkably low power consumption, the Speedway xPortal reader’s energy costs are 75% lower than those of competing readers. PoE also provides for increased system availability via network infrastructure. The Speedway xPortal combines Impinj technology, superior design, and proven components to deliver unmatched RFID system performance, intelligence, flexibility, and reliability. It is an excellent example of how Impinj is simply doing things better, solving the important challenges, and leading with the industry’s most robust, innovative, and best-performing RFID systems. Coverage Area 700 sq. ft. with Monza R6 based tags*, coverage area may be less with other RFID tags.